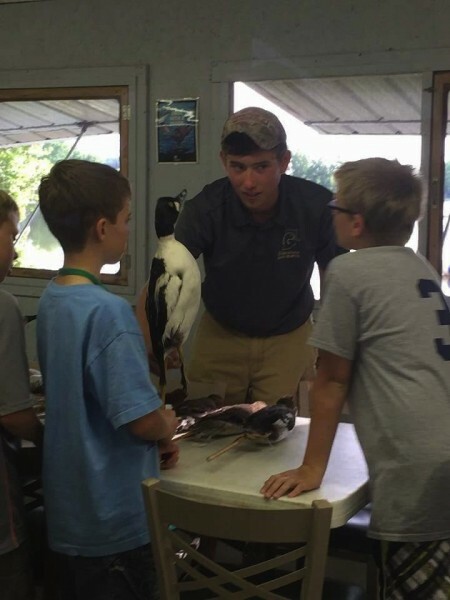 SYRACUSE – Of all the great nonprofit organizations that Kosciusko County is so lucky to have, one has flown under the radar in recent years despite doing plenty of great work and that organization is Wawasee Ducks Unlimited. Ducks Unlimited conserves, restores, and manages wetlands and associated habitats for North America’s waterfowl. These habitats also benefit other wildlife and people. It is also the the world’s leader in wetlands and waterfowl conservation. The Wawasee chapter is the only DU presence in Kosciusko County. The group was restarted in 2009 by Creighton Kaiser and Ryan Christner after membership and interest had dipped in previous years. Since that rebirth the group has flourished and has made its presence known throughout the Kosciusko community through educational events as well as other fundraisers. The group helps out with events at Tri-County Fish and Wildlife area in Syracuse as well Camp Mollenhour in the summer in Silver Lake, among other events. To those outside the group, that might all seem a little foreign. So, what exactly does DU do in Kosciusko County? The group has done a fantastic job at working with the youth movement in hunting and one of the biggest ways that has been done is through youth hunts. Wawasee DU member Bailey Hershberger (center) helps out at Camp Mollenhour. “We help run youth waterfowl and turkey hunts,” Christner stated. “In the waterfowl hunt we take kids ages 10-15 out for a hunt, to go on this hunt they have to complete a hunter’s education course. We get kids from our organization out there as well as kids from Camp Mollenhour. 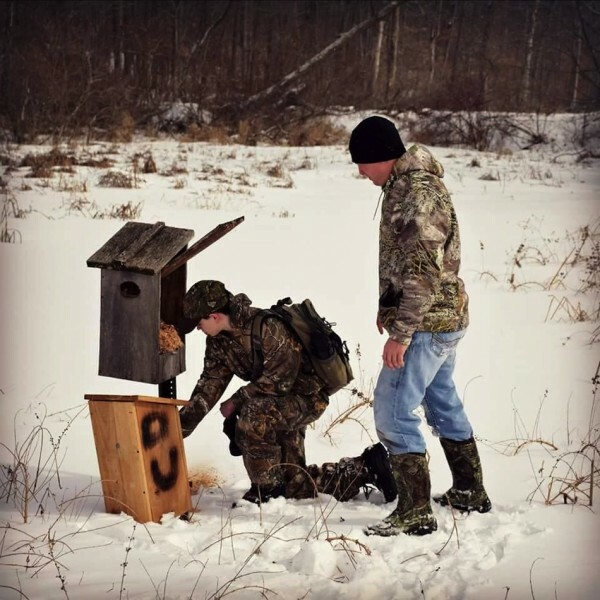 The group also helps to run a youth turkey hunt and helps to build wood duck boxes. While hunters are certainly a large part of what makes DU tick, the organization has its roots set in education and conservation. “Ducks Unlimited is a conservation organization,” Kaiser said. “Because it conserves waterfowl and wetlands, a lot of waterfowl hunters are involved with it. It’s not necessarily a hunting organization, but the two go hand in hand. We’re passionate about both sides of it. Kaiser went on to talk about the importance of getting youth involved so that the next generation sees the benefit of conserving wetland habitats. The Wawasee chapter will be hosting its annual Hunter’s Party this Saturday (8/15) at the North Webster Community Center. A purchased ticket gets you admission to the event, raffle entry and a one year membership with DU. For more information on the event please call Creighton Kaiser at 574-528-0854. More information on the group can be found on the chapter’s Facebook page, Wawasee Ducks Unlimited. 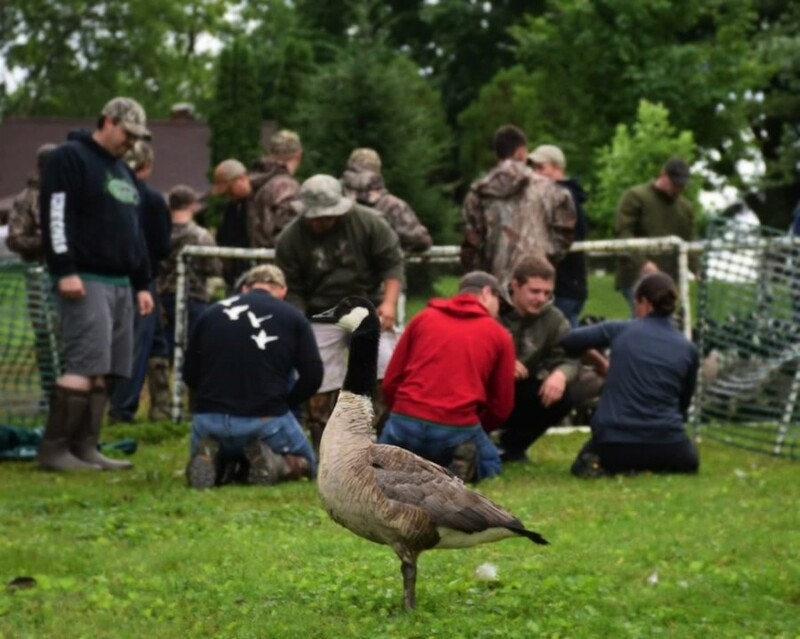 Members of the Wawasee DU chapter help to band geese.